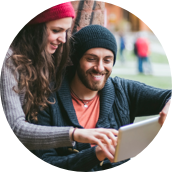 Discover how to learn Swiss German with the Pimsleur Method. 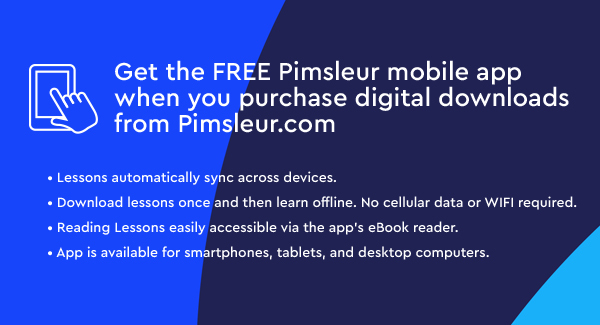 Start Speaking Swiss German using the Pimsleur App! Swiss German is spoken by about 65% of the Swiss population and it is spoken in 11 out of the 23 cantons. Pimsleur's Swiss German uses speakers with urban intonation and pronunciation spoken in cities such as St. Gallen, Zürich, and Basel. 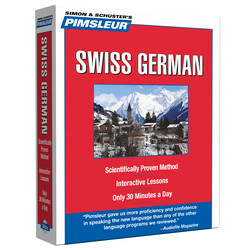 Learn Swiss German today with Pimsleur. Ten 30-minute lessons and notes as MP3 download (5 hrs). Each lesson has an introductory conversation, new vocabulary and structures. This course provides you with a solid foundation upon which to expand your language skills.